The Beatles sang to us, "All you need is love..." and love really is all we need. Well, God, too. We most certainly need him. But God is love, right? ("...God is love. Whoever lives in love lives in God and God in them." 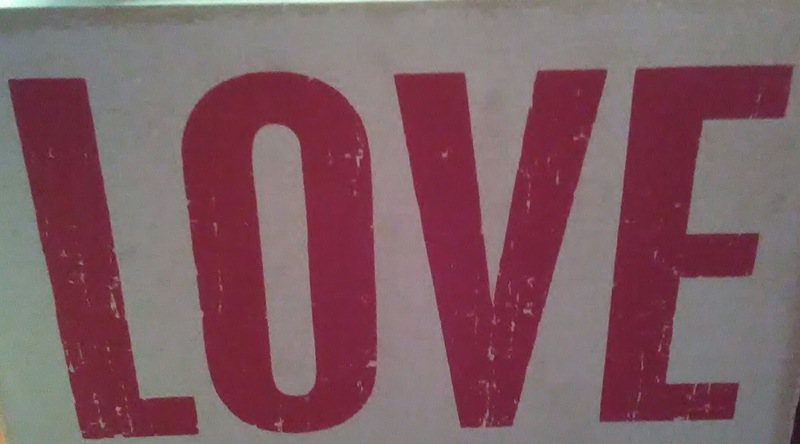 - 1 John 4:16) The nerd in me just needs to translate that to: If God = Love and if All you need is Love. Then really, ALL YOU NEED IS GOD! You like that, don't you? ha! Anyways, moving on. 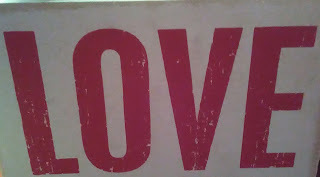 Love... We say that word a lot. Sometimes we mean it, sometimes perhaps we don't, but it is the right thing to say. But is love really just a word? Is it a feeling? Is it an action? Of course love is a word, but it is not just a word. It is so much more than that. And yes, it is a feeling. We have loved parents and family members. We have had our first crushes, our first boyfriend/girlfriend, possibly a spouse, kids, pets. We know the feelings that we associate with love because we have felt them. But, still, love is greater than that. Love is something that we do. We act out love. Let's take a lesson from the big guy, shall we? 1 John 4:9-11 (NIV) says, "This is how God showed his love among us: He sent his one and only Son into the world that we might live through him. This is love; not that we loved God but that he loved us and sent his Son as an atoning sacrifice for our sins. Dear friends, since God so loved us, we also ought to love one another." He doesn't simply love us. He intensely cares for, shares and gives to us. One of the most basic principles in Christianity - humility and serving others; selfless devotion to all of our brothers and sisters in Christ. THAT, my friend, is what love is. You love tootsie pops. You get so excited at the thought of them, placing a Halloween size bag in your shopping cart at the grocery store. As soon as you get to your car, you bust open the bag, pick out your favorite color, yank off the wrapper and stick that sucker in your mouth. Again, you love tootsie pops. You had a terrible day at work. The manager that has always seemed to have it out for you caught an honest mistake you made. Instead of discussing it with you, he fired you. Your spouse was laid off from her job a few weeks ago. You head home that day discouraged and a bit upset with the manager for the way he handled the situation. The next weekend you are driving on the highway and see this same manager pulled over with his car hood up. Standing with his hands on either side of his waist, his head down, it is clear that he doesn't know what to do. You push aside any ill feeling you have for this man and you pull over to help. I know these are simple examples, but which is the type of love God represents? You already know the answer. Swallowing our pride, remaining humble and willing to serve anyone you see in need represent the true meaning of LOVE. To truly love God, we must love each other -- those we like, those we don't and those we don't even know. Go on, spread the love.